I ran 50x17 over the summer, but recently geared down to 50x18 or 19 for the upcoming windy/cold weather, and to practice spinning at a higher cadence. I only ride 52x13. Good enough for all the dudes in MASH, good enough for me. nope, streets n nobr akes. I ride 46x18, so I end up spinning a lot. Seattle's pretty hilly though, so anything tougher really hurts my knees. lol at everyone with super big gearing. Not even track racers ride that tall. well..it may be useful to put a small ratio on the bike for training purpose. It depends where you're riding, what you're riding, how strong you are, etc. i will try 48-15 and 48-17 soon.. 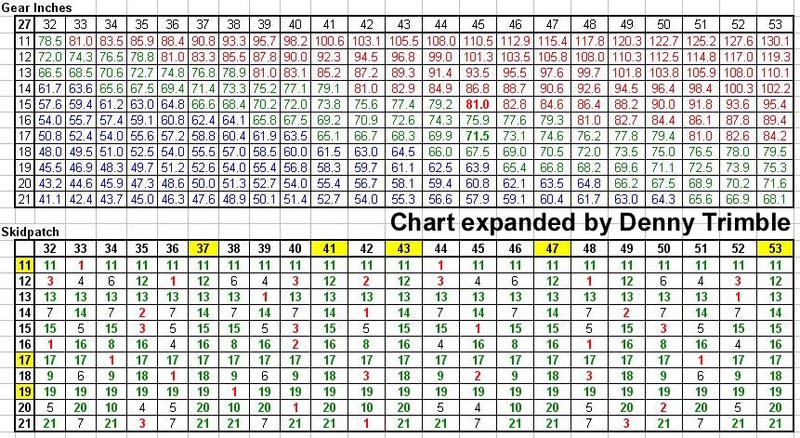 When do you guys consider the gearing to be high/medium/low for a fixed gear? Just wondering.